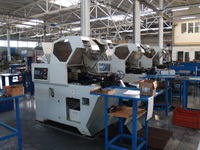 The Company is in a possession of a comprehensive range of various pieces of equipment used for forming of pipes. 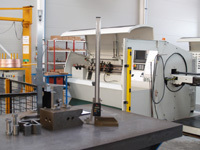 Bending and pipe end forming is performed by powerful CNC bending machines including classic mechanical benders and special automatic presses. Technological processes utilized in the production of the pipes are as follows: cutting, notching, shaping of pipe ends by pressing, brazing, etc. The necessary pre- requisite of the production process as a whole involves control facilities where pipe dimensional checks and soldered joint tightness checks are performed. Based on the customer's requirement it is also possible to carry out surface finishing of pipes using nickel plating, chrome plating, passivating, etc. 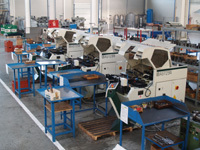 Design and manufacturing of tools and fixtures, with out which production could not take place and which precedes the production process, is ensured as a matter of course by a team of experienced professionals.